The National Population Council is set to finalize a new legislation that criminalizes child marriage, the minister of health and population Ahmed Emad Al-Deen announced on Wednesday. Emad Al-Deen stated that the latest move comes in coordination with the Ministry of Justice, the public prosecution, and the National Council for Women (NCW). He continued that a recent survey revealed that about 14.6 percent of the married girls in Egypt are between 15 and 19. The bill is currently being finalized by the Ministry of Health and will soon come into effect, according to a statement by the spokesperson of the ministry, Khaled Megahed, according to Egypt Independent. In recent weeks, head of the National Council for Women Rights Maya Morsi called on the parliament to draft a law in order to raise the minimum age of marriage to 21. Last week, an Imam was referred to an urgent trial because he had married off at least 27 minor girls in Egypt’s al-Mahalla al-Kobra governorate. 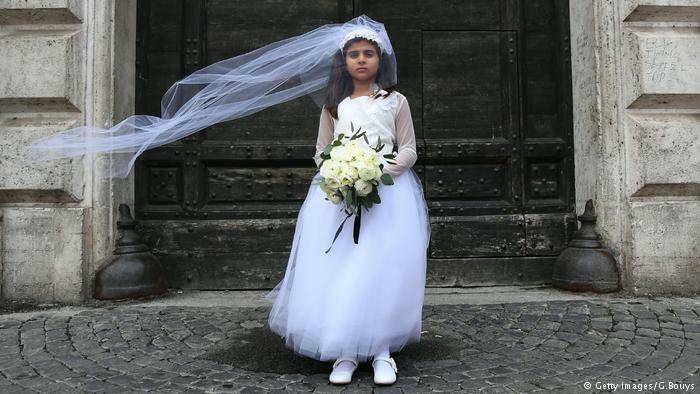 In the year 2015, 15 percent of all marriages in Egypt were child marriages. Previously, president Abdel Fattah Al-Sisi warned of child marriage and called on people to adhere to the legal age of marriage. He further described child marriage as unfairness and ruthlessness towards children.